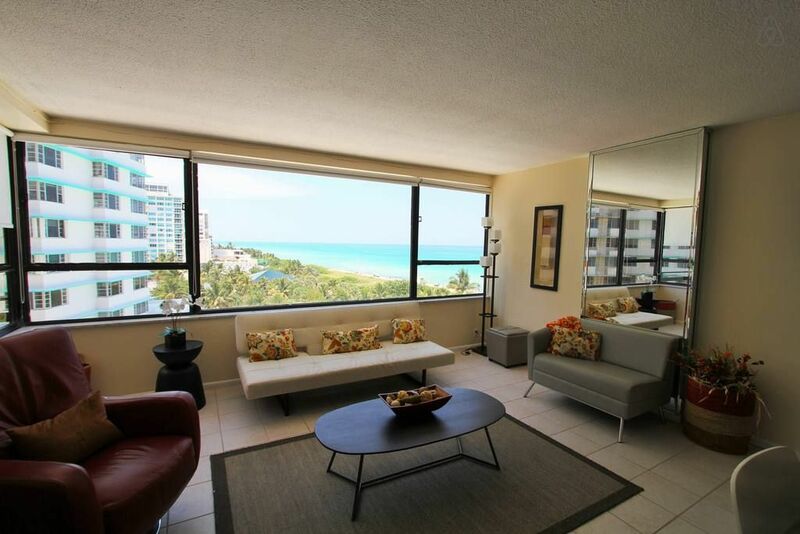 This beach front condominium is a privately owned 2 bedroom, 2 bath unit with an incredible ocean view located on the front 8th floor. 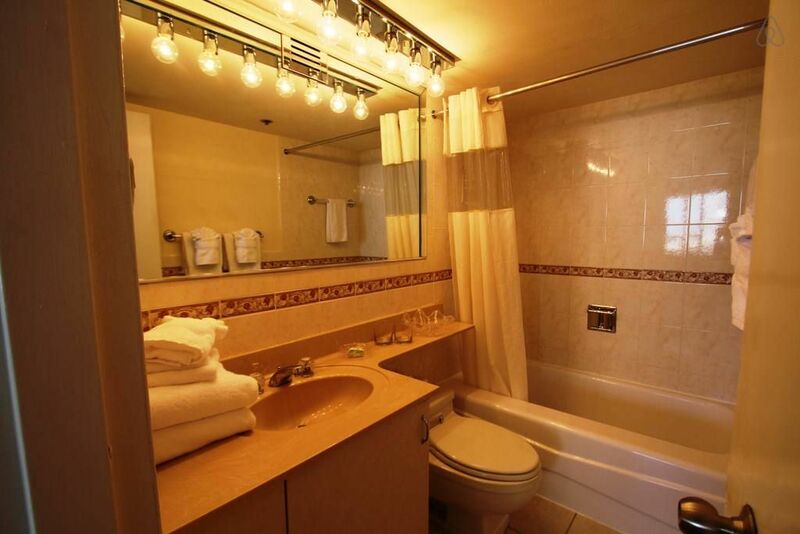 It has 2 queen size beds and 2 full sized beds in the bedrooms, an on suite bathroom in master bedroom, a full size kitchen, and an oversized balcony. 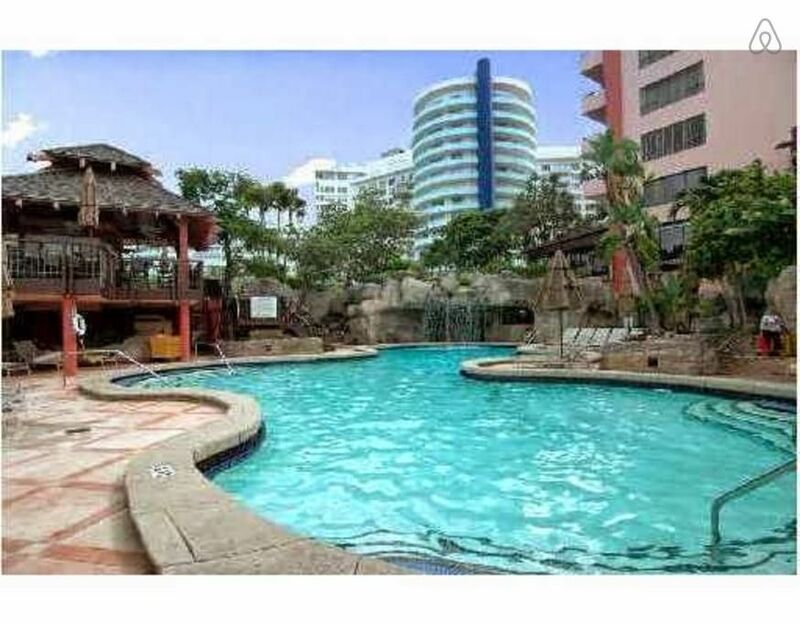 This Miami Beachfront unit is situated in a family friendly resort setting lends itself to a relaxing, swimming, walks on the beach, and all of the activities of Miami Beach on the Florida East Coast. 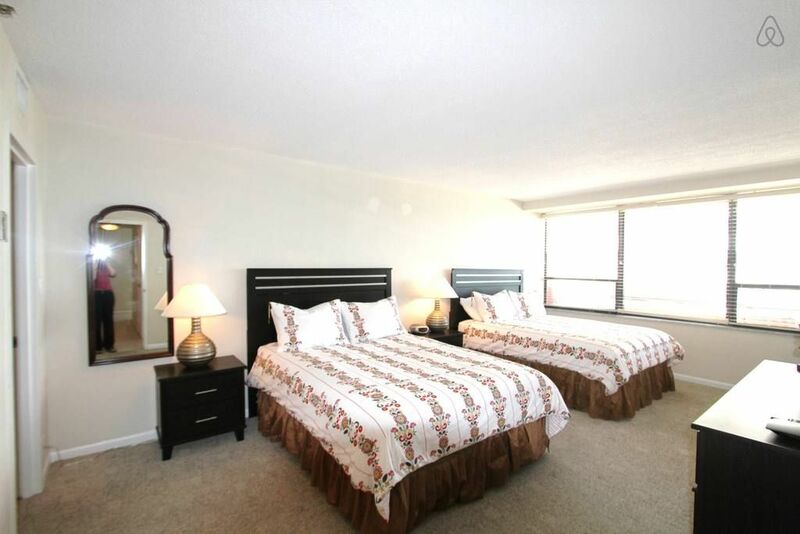 Roomy and open, this immaculate house will comfortably sleep 6 - 8 people. No smoking and no pets. 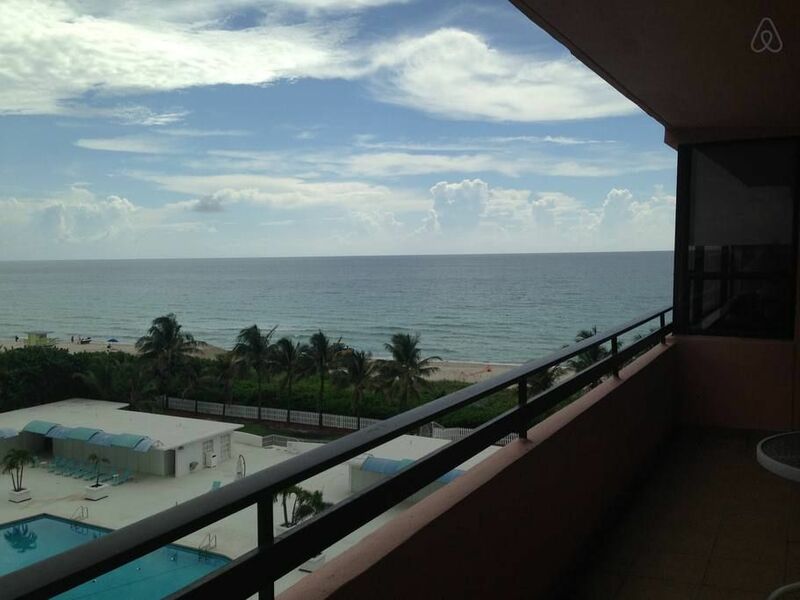 Just outside you'll find the famous sandy white beaches of Miami Beach where you can enjoy all the Florida sunshine. A beautiful, super-sized pool is located just off the beach. 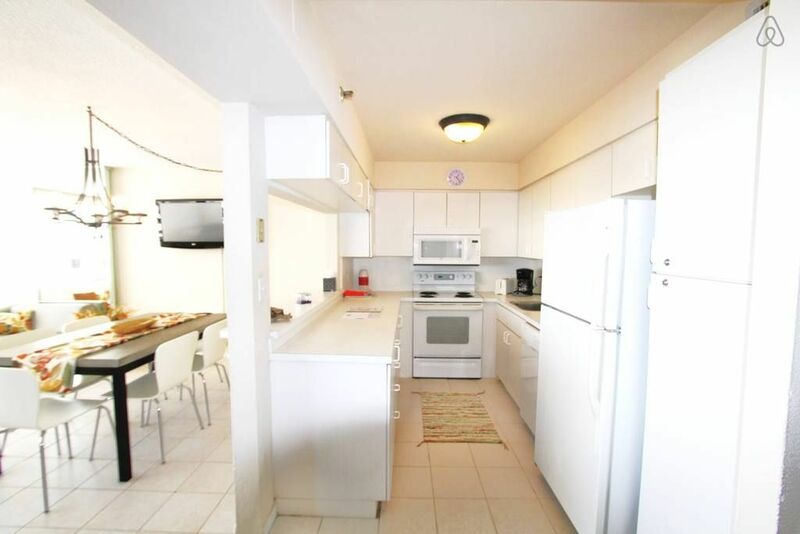 This Beach Front House has a very comfortable open layout with a spacious dining and living room area. 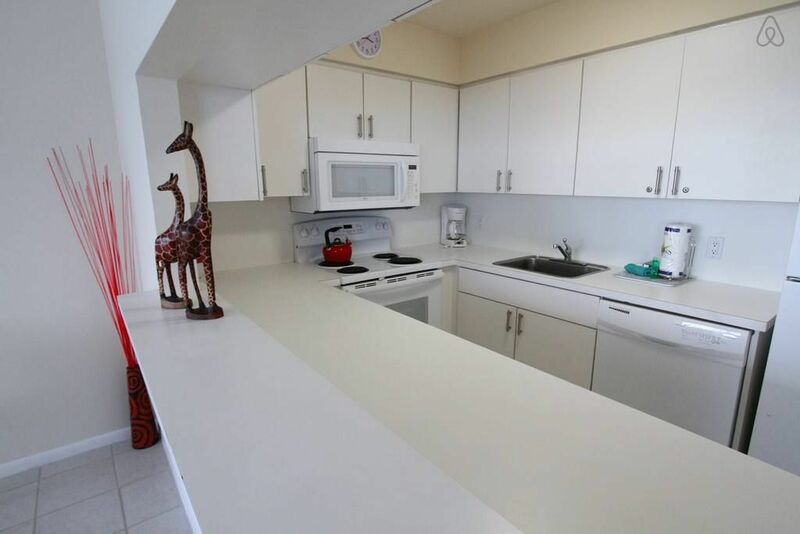 The kitchen is fully equipped, amenities include a dishwasher, microwave, oven, coffee maker, blender, plates, cups, silverware, pots and pans, etc… Other amenities include washer and dryer. 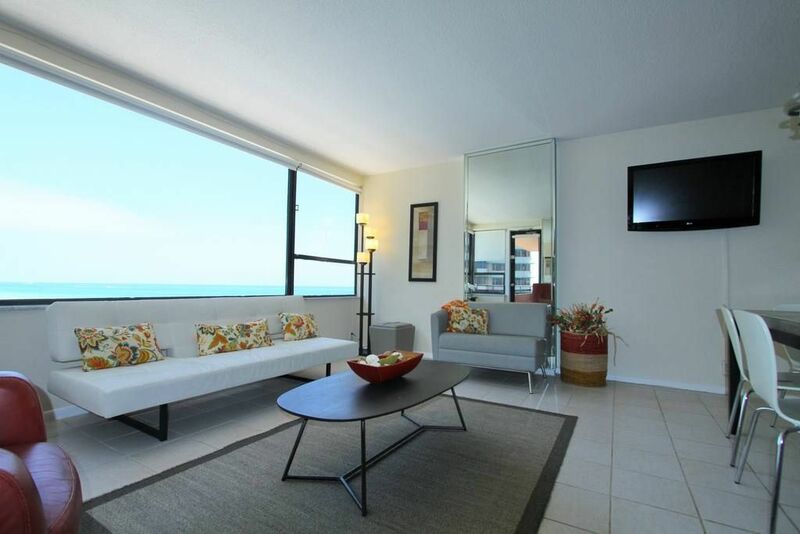 Two Bedroom and Two Bathrooms with Balcony Highlight this BeachFront House. 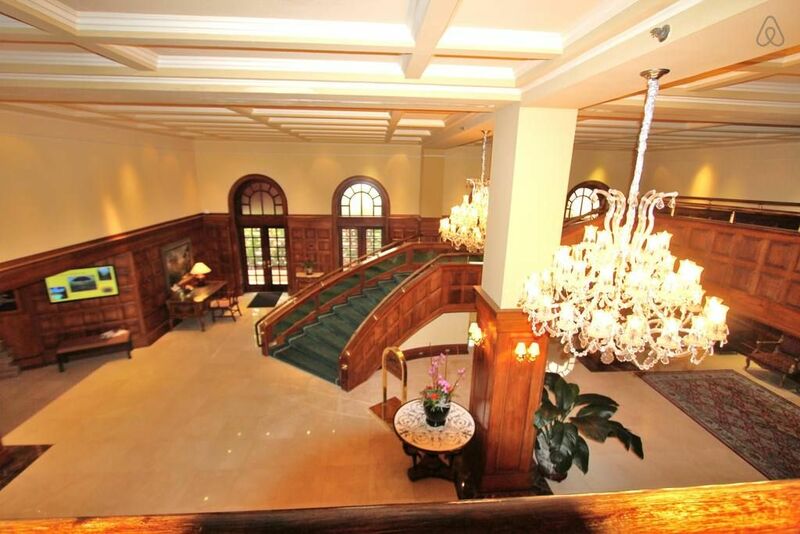 A huge balcony provides the ideal spot to relax and take in the sites, entertain guests, or curl up with a good book. 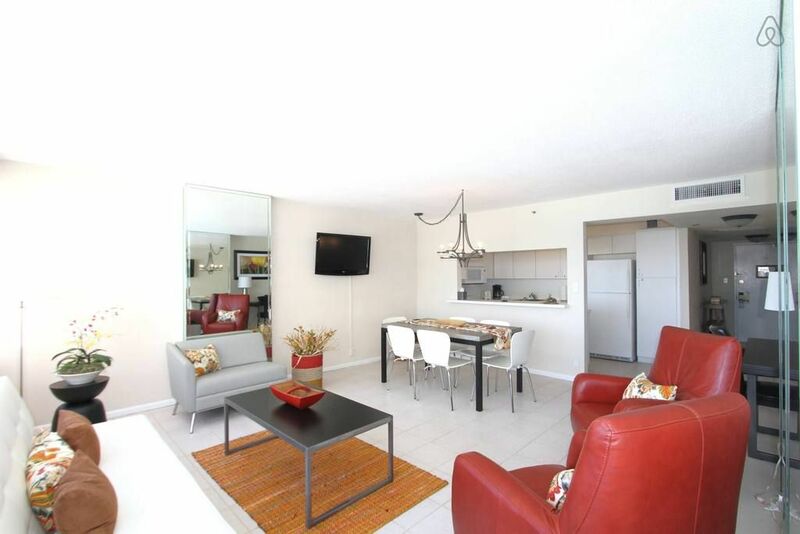 This home offers secured Wi-Fi and one valet parking at no extra cost to you. Beach chairs and beach towels are also provided. 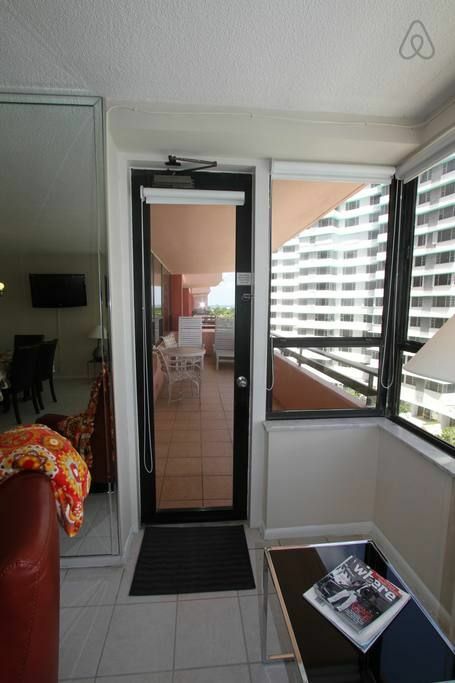 Just outside your door enjoy walks along the famous white sandy beach of Miami Beach. 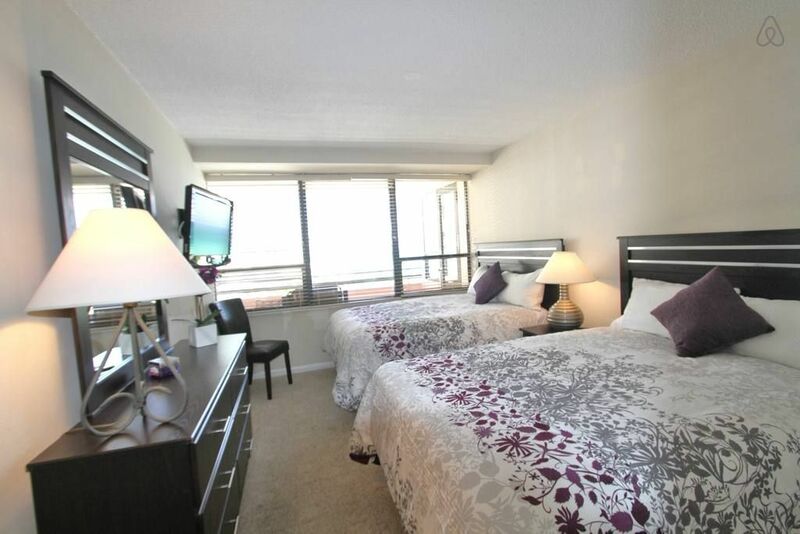 Restaurants, shopping, and nightclubs are within walking distance. 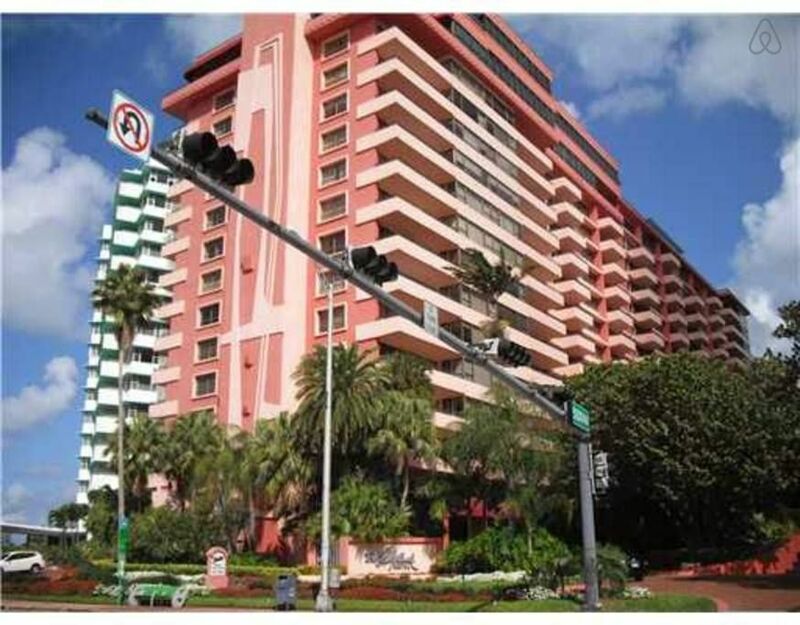 Just 3 miles from the Art Deco District and an easy drive to Key West and the Florida Everglades you can do as little or as much as you'd like during your stay here. NO PETS over 25 pounds (11 kilograms) are allowed in the building. All pets MUST be held or crated in the common areas. For the pets need permission by the owner and deposit needed to pay for the pet. Check-in is at [3:00 PM] and check-out is [10:00 AM]. A late check-out is subject to extra rental charges. Please contact Soleil Apartments with 72 hours of booking if you would like to request different check-in/check-out times.